ScanCafe proudly counts hundreds of professional photographers among our customers. Here are what some professional photographers have to say about us. 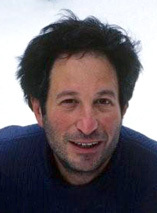 Wikipedia | Web Guttman is the creator of the influential "To Imagine" hardcover book series, a visual chronicle of magical lodging, adventures and experiences around the world. He has twice been the recipient of the Lowell Thomas Travel Journalist of the Year. His photographic images of the Amazon were featured in a 2008 exhibition at the United Nations. Guttman taught travel photography in New York and his frequent slide show lectures have been met with wide national attention. In praise of the work done for him by ScanCafe, he elaborates, "I am a passionate fan of the extraordinary ScanCafe services that were utilized for the creation of my award winning Travel App." His work as a travel journalist has been profiled on A&E Television and he has appeared on NBC's Today, CNN Travel Guide and the Travel Channel. 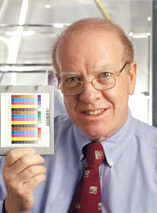 "I've spent more than 50 years helping preserve photographs of all kinds," said Henry Wilhelm, President and Director of Research at Wilhelm Imaging Research, Inc. "The transition from the traditional silver-halide analog photography of film and prints to digital cameras, files, and printers is the most far-reaching change in the more than 150-year history of photography. As imaging technology evolves, our research continues to expand and now includes both short-term and long-term digital file preservation issues." Wilhelm continued, "I've been impressed by ScanCafe's methodical approach to scanning and digital restoration of both B&W and color negatives, slides, and prints. The time and care their technicians devote to color correction and digital repair of scratches, tears, and other physical damage for each image is impressive. I look forward to working with ScanCafe on long-term digital preservation strategies as well as on the preservation of valued photographic prints, negatives, and slides. We need to preserve it all!" Wilhelm, a leading expert on the preservation of various imaging mediums from color prints, negatives and slides to motion pictures, has advised the Museum of Modern Art in New York, Academy Award-winning filmmaker Martin Scorsese, and many commercial and private photography collections. "Last month I sent a handful of old slides to India to get scanned. More specifically , Scan Cafe. My buddy Van Hayes told me about this so called Scan Cafe. What a deal. I'm preparing my next package of slides to send away...more"
"Overall I’m really impressed. The image quality is pretty good and, like I said, the process was really simple and smooth...This is one happy customer...it will take some time, since I have a lot of negs to get through, but I’ll eventually have all of my negatives safely scanned and archived on my computer, thanks to ScanCafe...more"
"The scans look pretty good to me. Old pictures tend to look old because of degradation of colors, etc. For purposes of nostalgia, the image quality certain was more than adequate. Could I use the scan a commercial setting? Perhaps, but there are more professional options with better quality equipment (at correspondingly higher prices)...I uploaded the images to Facebook, tagged a few, and for the next few days, there was a tidal wave of activity with some very heartfelt recollections. The process underscored the emotional connections we create to images, and how important a photo can be to our memory. I was so pleased with the results, that I sent off another 1000 images to be scanned....more"
"ScanCafe looks to be a viable option for those needing to digitize large volumes of slides or negatives...If you have just a handful of negatives to digitize (say, wedding photos) and you don’t plan on shooting film ever again, it’s probably worth having it done by ScanCafe. If you’re a busy working professional photographer who shoots film most of the time, it might also be worth having it done by ScanCafe if you can offset the cost and if you can afford to wait several months to get your scans (yes, 8 weeks is their typical turnaround time)...more"
"I probably have thousands of old photos that will never look as good as they do right now. As each day passes, they will continue to fade. Left up to me, I would probably never have gotten to a point that I had enough free time to scan these treasures...I’ve already shipped off my second, larger batch off to ScanCafe. This is just the kind of service I need and the prices are great too...more"
"I have recently used ScanCafe and I am one very happy customer. I initially sent in a test batch of about 500 slides. At first, I was apprehensive about sending some of the "family jewels" to a place I had no control over. I took a leap of faith and I was not disappointed in the least...The online clarity and crispness of the photos was far better than I could have done with my own scanner. When I received the DVDs and the originals shortly thereafter, my happiness turned to pure joy; I was looking at photos on my big screen computer that I had not seen in thirty years." "I am a full time professional photographer for 17 years. I recently sent an equal amount of slides to both ScanCafe, and a major US competitor. The scans came back from Scan Cafe, and every single one of them was 100% perfect. 20% of the scans from the competitor were completely unusable, and 50% of them required adjusting in Photoshop. And to make it even better, Scan Cafe was one third the price of the competitor. I was so pleased with the ScanCafe work that I am sending 900 slides in the mail to them tomorrow." With ScanCafe, you'll review your scans before you settle your bill. You can delete up to 20% of them, no questions asked. We scan and repair scratches on your black & white negatives, by hand, for $0.69 each. That's not a typo. 4000 dpi for slides & negatives, 1200 dpi for prints. Available on request for a small extra charge. With our Pro Library option, for each image, we will deliver a corrected jpg file AND an uncorrected TIFF file. We can deliver your files on a self-powered USB drive. 300 We count over 300 working professional photographers as customers.